The BOJ has made it clear they would like to see a weaker yen. You may not want to take the side of a currency whose central bank says they'd like their currency to go higher, [but] always take the side of a central bank when they want their currency to go down. Whats the best trade idea for 2014 ? "Continuing to be short of yen against the English-speaking currencies—selling yen against sterling, selling yen against the U.S. dollar, selling yen against the Canadian dollar—I think that's going to be the great trade of 2014"
"I'm not surprised that the stock market took off, that the dollar got that strong, that gold fell [after the Fed taper]. Once the announcement was made, those actions were pre-destined." "Within seconds of the announcement... I had no choice - I had to come in and buy more stocks and reduce any hedges I had and make certain that the long positions I had in the dollar, I've been very bearish on the yen -- were increased." There was no question an abundant part of yesterday's panic buying [was due to] people saying 'Oh my word I'm short, I'm wrong and I have to get out'...Some of the smartest guys I know have been short the market all the way up and I've seen more of that than people being long the market. "I would say that the economic conditions have been for some while appropriate for a reduction in the sum of accommodation - that's the term the Fed uses, not tapering - but I was surprised by the fact that the decision was made." "I thought it would be deferred and put into the hands of the next Fed chairman [Janet Yellen] at the March meeting." "I never thought they'd take action [on QE taper]. I thought there would be a lot of rhetoric about the level of debate, about the fact that the economic numbers were in fact getting better. But I never actually thought they'd move to reduce the speed with which we're driving down the highway." Investors must continue to obey the charts. Dennis Gartman believes the rally in stocks will continue, and he draws upon his years of trading experience to make that determination. "Write this down: 'It will continue to go up until it stops. I've only been at this 40 years, but I'm constantly amused by attempts to discern where the top shall be, or conversely, where the bottom shall be. Stocks stop going down when they stop. Stocks stop going up when they stop. That's the best you can do." There will be many who argue … with some very real justification … that this trade is crowded. It is. We shall admit that fact, but we also have the Central Bank at our back; we have the trend at our back; we have profits at our back, and those on the other side have none of the above. We’ll take our chances with the trend. It has served us well thus far. Top five trades to close out the year. "I want to be short the U.S. bond market," he said on CNBC's "Fast Money." While Gartman said that he had taken off his short position on Monday, he added, "You give me a point and a half rally on the long end, I'm selling the long end of the market." "I want to own copper. I want to own steel. I want to own railroads. I want to own ships," Gartman said. "The very basic plumbing of basic economic growth. Old story, it's a good story. It's a been a story that has worked for a long period of time. It's a simple story." The industrials play is a bet on growth, he said, pointing out that China held potential. "This is a very clear, rational bet on global growth," he said. "No question about that." The underlying assets are attractive, Gartman added. "It's being long of the equities market predicated upon the fact that the Bank of Japan is expanding its reserves even more aggressively than has been the Fed," Gartman said. "It's going to continue. It has no choice. Mr. Abe has three arrows that's he's firing on the economy. The only one that's really working at this point is No. 1, which is to expand reserves." Noting strength in Japanese equities, Gartman said that it would continue to strengthen. "You can actually be short other markets, but you want to be long the Nikkei," he said. "You want to own gold in yen terms," Gartman said, echoing a trade he has long espoused. "It's been a terrible trade for the last year. It's down 7 percent, but if you've owned gold in dollar terms, you're down 35 percent." Gartman said that one way to own gold in yen terms was to buy, say, GLD, the gold exchange-traded fund and sell an equal amount of a Japanese yen ETF. Being long the Nikkei, he added, was the same as selling the yen. "Do one or the other," Gartman said. Gartman said that his top trade heading into year-end was to short the yen against the Canadian dollar and the British pound, a trade he had been talking about "for months." "Just today, it's started to take off again,"
Dennis Gartman, editor and publisher of the Gartman letter, writes that it was Madiba, as Mandela was fondly called, who "kept South Africa together after the end of Apartheid," and that he now "fears" for South Africa. "It was Nelson Mandela who forced the blacks in S. Africa to push ahead with the reconciliation councils rather than physically attacking whites living there. It was Madiba who chided radical blacks bent upon revolution rather than reconciliation, and it was Madiba who brought the whole of S. Africa into the modern world and showed the world that the leaders such as Mugabe from Zimbabwe, or Mobutu Sese Seko of the Congo needn’t be the hallmarks of a new African leadership. "We do fear for S. Africa now that Madiba has passed away, for we fear that it was his presence that kept radicals such as Julius Malema at bay and away from the wheels of power there. One “look” from Madiba... one comment... one statement was sufficient to force Malema to be ousted from his position of authority within the ANC’s Youth League. President Zuma... a man in which we’ve no confidence whatsoever and a man given to the most lunatic decisions and actions... at least had to remain within the bounds of common sense knowing that Nelson Mandela could and would call his hand at a moment’s notice. "Hence we fear for S. Africa once the period of mourning for the passing of this great man is passed; but for now we mourn the loss of this truly great man... a man for the ages, the likes of which we shall not likely see in our lifetime again." Gartman goes on to compare President Obama and Madiba, saying the President is a man of the left moving farther in that direction. Mandela on the other hand, he writes, "was a man of the Left who moved to the centre and created a nation." It's been a devastating year for fertilizer bulls and anyone who owns shares of Potash Corporation of Saskatchewan (POT-T). In October, PotashCorp cut its 2013 profit outlook after the breakup of the Eastern European potash cartel sparked a drop in fertilizer prices. On Tuesday, the other shoe dropped when PotashCorp announced it was firing 18 percent of its workforce amid low prices and weak demand. Dennis Gartman, editor and publisher of the widely followed Gartman Letter, tells BNN agriculture is "not a pretty business to be in." During a recent trip to Iowa, Gartman says he was stunned at the amount of grain and corn that's been produced. "There's a huge crop out there and it's getting larger as they take it in," Gartman says. "And with the almost certain decrease in the mandate for ethanol usage in the United States, corn is in oversupply." Gartman isn't calling a bottom and warns there could be more downside in agricultural commodities and fertilizer stocks. PotashCorp shares have rallied since hitting a 52-week low in early August and currently provide a dividend of more than 4 percent. Several currency strategists have told BNN the recent slide in the Canadian dollar is an overreaction. But Gartman sees a major problem with the Canadian dollar, which is trading near a three-year low ahead of the Bank of Canada meeting tomorrow. "The reserve banks of Australia and New Zealand are both talking down their dollars without equivocation. It's very hard for the Canadian dollar to rally," Gartman tells BNN, adding he's lost money buying the Canadian dollar against the Japanese yen. Gartman says he is bullish on the U.S. dollar. "Relative to all other currencies that's probably the better place to be right now." "We look for a very slightly bullish report," economist Dennis Gartman, who is based in Suffolk, Virginia, said in his daily Gartman Letter. "Demand for corn, soybeans and wheat shall be cited as remaining very strong even as supplies continue to grow." Raising bond shorts: Benchmark U.S. 10-Year Treasury rates hovered near three-month highs on Wednesday after a stronger-than-expected ADP jobs report. Dennis Gartman of The Gartman Letter had been recommending the short bond trade since October. "I'm looking to get shorter, I think you could take the 10-year sometime next year well above 4 percent." Venezuelan president Nicolas Maduro passed legislation to regulate the price of new and used cars in an effort to rein in inflation. The law states that the price of used cars can't surpass that of new cars and that breaking the law could earn perpetrators jail time. "We know this every day for several times each day he comes up with some new, idiotic left-wing policy that only a socialist could love and put forth. Yesterday, President Maduro issued a decree controlling the price of new and second-hand cars. New cars are currently all but impossible to find due to import restrictions he’s imposed and due to the fact that automobile manufacturers are unwilling to send cars to the country fearing expropriation by the government. Hence, Venezuelans now have to pay very high prices for used cars, with the price for used cars already there in Venezuela leaping above the "list price for new cars." "…According to the new decree, the citizens of Venezuela will be “Expressly forbidden to speculate on the prices of second-hand vehicles as though they were new...” and those who break the new law will face jail sentences of six to 12 years. "The President’s office said last evening that there will be more details today when the decree is official published in the nation’s newspapers; however what we found most fascinating and modest sadly comical was that this is the 625th such decree since he took office April 19th of this year. He’s making an aver age of 2.7 decrees/day. Such is the life of an idiot, socialist despot, making life for his people more and more difficult by the hour. Lunacy has no bounds." Dennis Gartman, editor and publisher of the Gartman Letter, has 19 rules of trading from 2013. SOMEONE’S ALWAYS GOT A BIGGER JUNK YARD DOG: No matter how much “work” we do on a trade, someone knows more and is more prepared than are we and has more capital! Commodities trader Dennis Gartman believes the recent dip in the oil price, after a deal was reached between Iran and six world powers to curb its nuclear program, shows just how weak the yen currently is. "This news alone should be supportive of the yen, for Japan is of course the nation most seriously exposed to the uncertainties of higher crude prices" he said in a research note on Monday. "The fundamentals of the Bank of Japan's aggressive expansion of its balance sheet trumps even this fundamental benefit...we are more bearish now than we were previously." Gartman has a target price of 125 for the dollar-yen, a level it hasn't seen for the last eleven years. Ongoing quantitative easing from the Fed is making a few trades attractive, the commodities trader says. On CNBC’s “Fast Money,” the editor and publisher of The Gartman Letter, who continues to be long gold in yen terms, said that he was now looking at another trade. Whats going in with oil in the U.S., with Dennis Gartman of The Gartman Letter. The U.S. "is becoming a dominant force" by being the world's largest producer of crude oil. He thinks oil will drop 15 percent. Dennis Gartman said no scheduled Bernanke press conference after this week’s meeting is yet another reason why officials are not likely to alter policy. Even though Gartman is a republican, he does have a few words for the party. "Let's hope the adults have come back to the room. Let's hope we banished the children to the smaller table. This was really quite embarrassing to all of us." "Will foreign investors continue to move money to foreign investment? The answer to that is resoundingly yes. I suspect the damage had been severe and probably permanent." The gold chart looks “horrid” and is set to worsen during New York trade, Dennis Gartman, editor of the Gartman Letter, said. 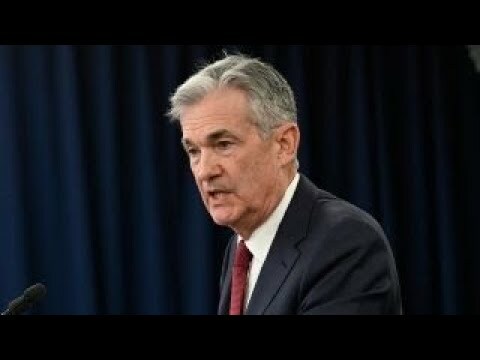 “We need to understand that as this lunacy continues the job of the Federal Reserve Bank is made more and more difficult for there shall be less and less proper data collected by the government on the state of the US economy, and it is upon this data that the Fed’s decisions on monetary policy are based,” Gartman said. The government shutdown is being viewed by some as a deflationary force in the world's largest economy. This is negative for gold as it is often purchased as a hedge against inflation. "The economy seems weaker. With the closing of the government, and problems going on in Washington, that's a deflationary impact, and that weighs upon the gold market. If you could get strength in the economy you might actually get a bid to the gold market. Factors that could spark a fresh rally in gold include renewed tensions in the Middle East or the Federal Reserve becoming more accommodative than it has been." Gold in yen terms at least has gone sideways,” over the past few years, he told industry experts at the IndexUniverse Inside Commodities Conference in New York City. Gold in dollar terms has been definitively a detrimental and ugly long investment. Exchange-traded funds (ETFs) have helped drive market volatility. I am overtly, manifestly, insistently, bearish on the Japanese yen. The Japanese have no choice but to devalue their currency, and commodity prices in their terms are going to go dramatically higher. The United States will also become a net exporter of energy within five or 10 years, thanks to a hydraulic fracking and natural gas boom here. The U.S. is already a net exporter of gasoline, though exports of crude oil are banned by law here. It’s only a matter of time until the United States is a net supplier of energy to the rest of the world. Given the growth in the fracking industry, we’re very soon going to be energy independent. There are three things you can count on. You can count on the fact that the sun is going to rise. You can count on your Mom loving you. And you can count on the fact that debt ceiling talk has been discounted by the market. The economy is clearly getting better, not just here but around the world. Ask the people working two jobs to make ends meet on how the economy is improving. They might have something different to say. The economy is improving, albeit very slowly. Wall Street and main street have seen the gulf between them widen even more in recent years. If the economy was improving so much, why is the Fed still pumping $85 billion into the market every month. That’s why stocks sell off anytime there’s good economic news, investors love that free money. They don’t want the economy to improve too much, or the Fed might start taking some of the money away. The trend is up, so why would you fight it until that changes? Even the government can’t ruin this rally. Gartman: Gold Is The "Dumbest Commodity"
Anyone who tells you gold is a commodity and a "safe haven" is a "charlatan at best" and "a liar at worst," newsletter publisher Dennis Gartman told advisors and other professional investors this morning at the annual Inside Commodities conference in New York City. There is also a reasonable chance they are "a cheat,"
Gold is the "dumbest commodity" in history primarily because it is a currency, not a commodity, Gartman said. Commodities like coffee, copper, crude oil and sugar have practical uses; gold is used only in jewelry, which is hardly a necessity. I'm not a gold bug. I don't like gold bugs. Safe havens don't rise and fall in price by 2% or 3%. Silver frequently surges or swoons 5% "at will. If you want a safe haven, buy two-year Treasury notes. There is plenty of $110 a barrel oil out there," he said. In the next five or ten years, we may find out "how much $50 or $60 a barrel oil is out there. Going forward, we just have to keep an eye—as the Fed has told us—on unemployment and until that number gets below 6.5 percent, we can expect the Fed to do very little. We're going to have to be deep-diving into the monthly data even more than we have in the past, and we're going to find out that we need. Maybe 200,000 or 225,000 or maybe even 250,000 in monthly nonfarm payroll numbers before the Fed's going to be comfortable with reducing the amount of accommodation. I said the Fed would do very, very little at all other than changing its rhetoric and [Fed Chairman Ben] Bernanke has made certain that we understand how data determinant the Fed would be going forward. Those will be the voices that we pay all our attention to after the turn of the year. Miss George is clearly the hawk on the committee while Yellen will be the dove on the committee, and we do have to defer to Miss Yellen; she will be the chairman. It'll be interesting to see the debates around those two. Concerning the possible replacement candidates, as noted above Dr. Yellen, the current Vice Chairman, has to be the front runner, although certainly she may be seen by some as “Damaged goods” given that she was already relegated to second-tier stature by the fact that the President had apparently chosen to pass her by as his nominee. Nonetheless, Dr. Yellen clearly has the expertise and is well enough liked within the structure of the Fed to fill this role very well indeed. Despite the “Damaged goods” problem, she has to be considered the front runner if for no other reason than she had to go through a Senate confirmation hearing when she was posted to the Fed as its Vice Chairman in October of ’10. Helping Dr. Yellen’s cause is the simple fact that she did a much, much better job of forecasting the problems that were to beset the US’... and the global... economy in ’07- 09 than did many other ranking officials on the Fed. Simply put, she got it right where most others missed the collapse entirely. And finally, of course, she is a woman and although the country is past this sort of consideration it is a real consideration nonetheless. Were we betting folks here at TGL, we'd have to consider Dr. Yellen as the prohibitive favorite. Simply put, Mr. Summers is a rather unlikeable fellow, but who almost certainly is the 'smartest guy in the room' in whichever room he enters, but he has proven, shall we say, 'difficult' at very best. I don’t think the situation in the middle east will get much worse than it has in the last few weeks. Tokyo's winning bid to host the 2020 Olympics will likely boost Japan's gross domestic product, but hosting the games may actually prove to be a financial burden in the long run, investor Dennis Gartman said Monday. "There's no question it will be good for GDP … they're going to have to build new venues. They're going to have to upgrade their roads. They're going to have to build new bridges," Gartman said on CNBC. "We also know that with the exception of every other city other than Calgary, anybody who's held an Olympics in the last 40 years has regretted the fact that they've done it … I bet that this is going to be detrimental to Japan in the long run and I bet by the time we get there, they're going to wish they didn't have the Olympics." Gartman, editor and publisher of The Gartman Letter, told "Fast Money" he remains long the Nikkei and short the yen. "I want to be bullish of stocks generally. The Nikkei has done well for me recently," Gartman said, adding he plans to buy more of the Nikkei, too, because he think the yen is likely to continue to fall. I think you are having margin liquidation. I cant imagine it going down more than another $20. I may want to buy gold if it goes down another $20. I don’t like gold better than stocks. Certainly Im wrong with Gold. Peace has broken out [in Syria] and a lessening of discord is always bearish of gold market. The economy is doing better. That lessens the accommodation the federal reserve is going to push into the market. On top of that rising stock prices are affecting it. When interest rates in the U.S. go up, interest rates in emerging countries go higher. [But] they have to go even faster than they are to accommodate the weakening currency. It has become a rather untoward and ugly spiral downward. The money is simply pouring out [of emerging countries including India] from hedge funds liquidating their stock positions. When they do so, in the case of India, these foreign investors get rupees that they have to sell to get U.S. dollars back. If you made me take a position in the rupee today, I'd probably buy it rather than sell it amongst this panic. The rupee has fallen to record lows in recent weeks as policymakers scramble to put measures in place to prop the legal tender and stem the currency outflows. I feel bad for the new Reserve Bank of India governor [Raghuram Rajan] who's been thrown right into a very hot fire in a very short span of time. What he has to hope for more than anything is that these things run their course. I'm not sure there's a great deal that he can do. If a market moves and gets me by 2.5 or 3 percent, that to me is an egregious move. It tells me that I'm wrong. My trades in the stock market? Terrible. I want out. The market is telling me that I'm wrong. I'm going to the sidelines. Let Labor Day come, let everyone come back from the beach. Let's see what kind of buying we have first week in September. I think that's probably the best place to be. The very secret to trading and investing and life itself: Do more of that which is working and just try your darndest to less of that which is not. If you buy a stock at $15 and it goes to $20, buy more becuase the market's telling you that you are right, but if you buy a stock at $15 and it goes to $12, cut the position back becuase you're wrong and why do more of something that's wrong. If taking flowers to your girlfriend works wonders, then buy her more flowers. That's life; that's trading' that's investing. Do more of that which is working and just really, really really try to do less of that which is not. I leave you with that thought. Bernanke has been a truly fantastic Fed Chairman and had it not been for him, acting as the "adult" in the room in the autumn of '08 the whole system might have collapsed. He will have my undimmed support for that decision alone. So when do I think that QE shall truly end? Not for at least a year... perhaps two. We've got to taper down from $85 billion per month in new securities purchased to 75 to 65 to 55 to 45... and then allow those securities to mature off. That's quite some while into the future. Again, tapering is not the end of accomodation. The central banks have been money printing around the world. Its a back to a 'Risk On' circumstances again. Buy the Aussie dollar, Canadian Dollar, Crude Oil and short the bond market. In terms on stocks, buy the Chinese stocks although Korea and Russian stocks are probably a better buy right now. In dollar terms, there is a very good probability the lows in Gold have been seen. Gold in Yen terms definitely has seen the lows. In terms on yen gold is near its highs. Government securities have been the only thing to own. People have given Gary Shilling a very hard time. But that[Government securities] has been and probably will be the best trade for a while. There are a lot of people throwing up their hands. Throwing positions overboard. Panic is everywhere. I've never seen anything like this. I mean it. Cyprus has been told to liquidate their Gold positions to pay off their bailout. This has been creating a downward pressure on Gold for a while. If Cyprus will have to do it, Spain, Italy will probably have to do it also because it will be unfair to Cypriots. Commodities have problems including the grain markets. Huge crops are in supply and demand is clearly going to be waning. At the moment commodities such as copper, aluminium also have lots of inventory which is going to create pressures on the price. Short term demand could be affected but they are still within a longer term bull market. There are problems with the stock market far beyond North Korea. I think the market's going to go down, not because of North Korea. Sell bounces. Bounces are to be sold not weakness to be bought. I think the decision here was egregiously bad. I think this was lunacy on the part of the European monetary authorities, the banking regulators, or whoever it was responsible for making this decision in Cyprus. They have stepped on Russian toes, and the Russians are not going to be happy about this. Somebody will have to pay for it. I think this is very stupid. Everybody knows that the vast majority of the deposits in Cyprus are from Russia. They’re Russian government officials, they’re Russian businessmen, it’s Russian mafia – and you don’t mess with the Russian mafia. They(North Korea) have very few capabilities. They have land forces. If they decided to make a rush over the border, they could do that," he said. "They have no real nuclear capabilities whatsoever. Their missiles are very, very old, very immature. They can't move more than 1,500 kilometers. It's fun to watch the pictures, but are they going to do anything? No. We have been openly bullish of equities unerringly since late last year and became even more so on the first day of this year when the indices all 'gapped' higher on huge volume. We had no choice but to be bullish; the markets were powering higher and they had the fuel from the monetary authorities to do so. Now, however, that fuel is thought to be pushed a bit away; the "punch bowl" has been moved nearly out of reach and that alone would be sufficient to force us to change our bullish posture. But with the technical in the markets breaking down as badly as they have we've no choice but to exit any and all bullish constructed positions and rush to the sidelines. Where we were buyers of equities previously we must disdain them henceforth. Where we were sellers of Yen and US dollars we must buy them now. Where we had been long of gold in Yen terms, we must shift that and turn bullish of gold in EUR terms. Where we might have been 'technically' bullish of the EUR we must now be technically and fundamentally bearish of it. The game board has been flipped over; the game has changed... change with it or perish. We cannot be more blunt than that. "When tectonic plates in the earth’s crust shift earthquakes happen and when the tectonic plants shift beneath our feet in the capital markets margin calls take place. The tectonic plates have shifted and attention... very careful and very substantive attention must be paid. "Simply put, the game has changed and where we were playing a 'game' fueled by the monetary authorities and fueled by the urge on the part of participants to see and believe in rising 'animal spirits' as Lord Keynes referred to them we played bullishly of equities and of the EUR and of 'risk assets'. Now, with the game changing, our tools have to change and so too our perspective. I just don't like them(stocks) now," he added. "Cash is not such a bad thing to hold." Gartman reiterated that stocks could be headed for a 7 percent decline from their highs. When I watch something move 2, 3 percent against me, I get concerned," he said. "I'm on the sidelines and happy to be there. Did you hear/feel and then understand the tectonic plates shifting beneath our feet in all of the capital markets yesterday? If you did not, you should and if you cannot you must for the plates have indeed shifted. We have found five times more proven reserves of crude oil than we had in 1968. And I guarantee that in 20 years we’ll have more than five times the crude oil we’ve found today. Just (recently) they announced in South Texas that they found three billion more barrels of proven reserves of crude. Dollars are where you want money invested, U.S. dollars, your dollars, Australian dollars and New Zealand dollars. The United States, Canada, Australia and New Zealand have stuff. Next month if the PMI falls below 50 perhaps we’ll wail and gnash our teeth as others are doing with the 0.2 decline month-on-month in this number, but until then we’ll simply say that China’s economy is moving 'from the lower left to the upper right', albeit modestly,” Dennis Gartman, editor of the Gartman Letter said. Dennis Gartman says he sold off his gold holdings in December, expecting the price to be flat in a year, and has turned to the currency markets. Dennis Gartman, editor of the Gartman Letter, expects that the Fed's monetary policy committee will take no action whatsoever this week. Indeed, the only things that might come from the meeting is further clarification, if any, of its intentions moving forward regarding purchases and/or dispensing of assets from its balance sheet. The debate at the meeting very well may focus on upon potential losses that might be suffered by the bank on its balance sheet as debt prices weaken and interest rates rise. Gartman's biggest fear is that it will take at least two years before the U.S. realizes it has a spending problem, not a revenue problem. Dennis Gartman, editor of The Gartman Letter, said Monday that he's likely to buy more S&P 500 stocks and sell more 10-year notes. "Two percent was an interesting number today. We peaked up above there, came back underneath it. My guess, though, is that we're going to go back through 2 percent," he said. "Money's coming out of bonds, and it's going to do it for a long period of time."